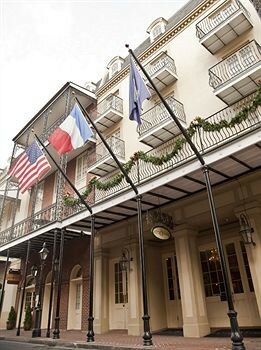 Property Location A stay at Hotel St. Marie places you in the heart of New Orleans, walking distance from Preservation Hall and Historic New Orleans Collection. This romantic hotel is within close proximity of Le Petit Theatre Du Vieux Carre and Congo Square.Rooms Make yourself at home in one of the 103 air-conditioned guestrooms. Cable programming provides entertainment, and wired and wireless Internet access is available for a surcharge. Bathrooms have complimentary toiletries and hair dryers. Conveniences include phones, as well as safes and desks.Rec, Spa, Premium Amenities Take advantage of recreation opportunities such as an outdoor pool, or other amenities including complimentary wireless Internet access and concierge services.Dining Satisfy your appetite at one of the hotel&apos;s 2 restaurants. Quench your thirst with your favorite drink at a bar/lounge. Cooked-to-order breakfasts are available daily for a fee.Business, Other Amenities Featured amenities include high-speed (wired) Internet access (surcharge), limo/town car service, and complimentary newspapers in the lobby. Planning an event in New Orleans? This hotel has facilities measuring 1760 square feet (164 square meters), including a meeting room. A roundtrip airport shuttle is provided for a surcharge (available on request).